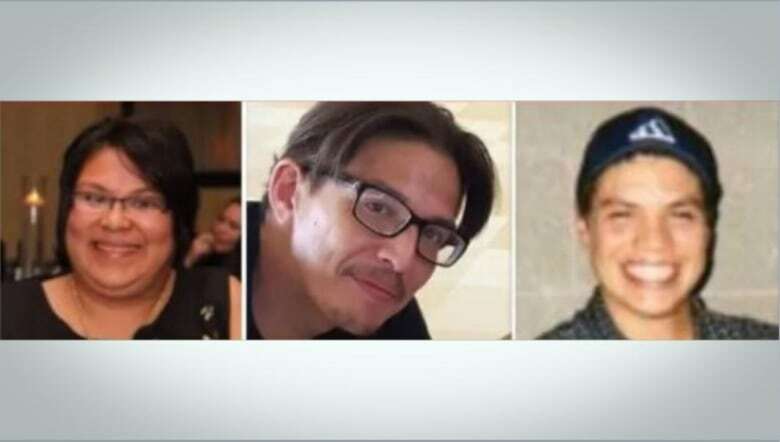 Two men and a woman have been charged with second-degree murder in the deaths of three Six Nations residents last year near London, Ont. OPP Supt. Ken Leppert said he would not comment on what the motive for the killings might have been or if the deaths were connected to other homicides. Leppert said there was a publication ban in place and asked for assistance from the public in gathering more information. 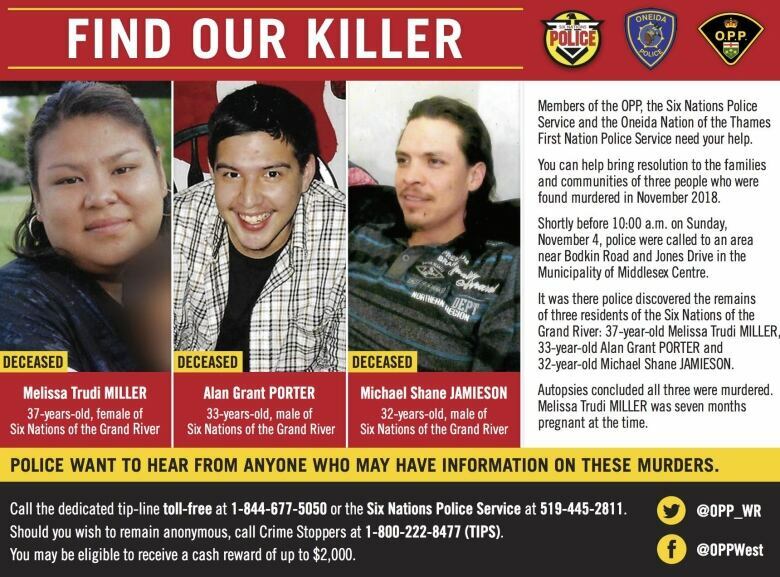 He asked that people with information call Crime Stoppers at 1-800-222-8477 or the dedicated tip line at 1-844-677-5050 or the Six Nations police at 519-445-2811.